In case y’all didn’t know, we sure do love a great pair of cowboy boots! If you haven’t worn a pair of Anderson Bean authentic cowboy boots, you absolutely have to try ‘em on and see for yourself! Harry’s Boots carries all kinds of styles from Anderson Bean- fit for any cowboy, cowgirl, or even little kiddo! If you can’t make it all they way to our storefront in San Saba, TX, you can always find our favorite pairs at the click of a button. We’ve got a solid selection of Anderson Bean online to meet all your boot-scootin’ needs! To help y’all fully grasp what makes Anderson Bean boots extra special, we want to give you a little tour of the brand’s history and list some reasons why we love them so! We’re sure to make a true Anderson Bean-liever out of you! 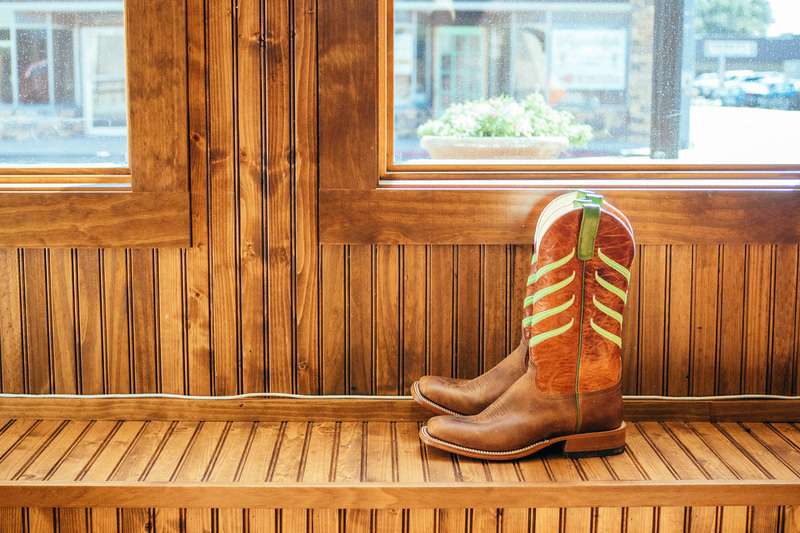 Texas pride runs through every sole, stitch and seam of Anderson Bean boots. Though the company began in 1989, the boot making process is backed by over 150 years of tradition. Anderson Bean was founded on family values- so much so, the owner name it after his mother. The early years of Anderson Bean were spent building boots in a tiny warehouse, with a handful of talented craftsmen. As their reputation for quality grew, so did their demand, and in the 90’s they made the move to a giant factory in Mercedes, TX, which remains the Anderson Bean headquarters today. But, Anderson Bean has always attributed its foundation and current success to its loyal customers. In the late 1990’s Anderson Bean was endorsed by a slew of rodeo and music stars. The overwhelming positive response to the brand, from all walks of life, cowboys to city folk, is what they claim made the brand a true success. Now, Anderson Bean is sold in over 1,000 stores across the US. And there’s only more greatness on the horizon for this once small boot making operation. Crafted by hand for the people of Texas and beyond, Anderson bean began with a mission to make boots for everyone, that could stand the test of time, all at an affordable price. 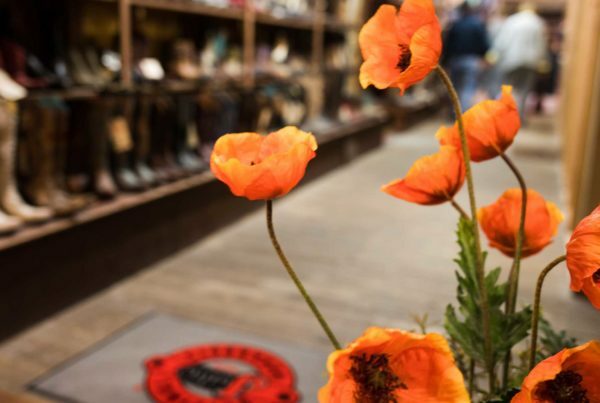 They are boots steeped in tradition, rooted in family, and made for you. Most boot companies have hundreds of stock boot styles, valuing variety over quality. Anderson Bean offers only 17 stock boots because, obviously, they got it right the first few times. And why mess with perfection? But, that’s only the beginning. These 17 styles are the basis for a vast variety of unique, customized boots, created for each individual retailer of Anderson Bean Boots- including storefronts, trunk shows, rodeos, and western wear conventions. Check out all the innovative designs in their custom boot gallery. One thing you’re not going to find in Anderson Bean Boots are synthetic hides. They form every pair using the most premium leathers, in any and all varieties. Name the hide and they can make a boot out of it- including Amazon bass, crocodile, and ostrich. They cut and place the hides in such a way that they fit to perfection, expanding and contracting depending on moisture and heat in the air. We can’t hide our love of Anderson Bean’s quality leathers, but that’s not the sole reason to love these boots. The sole of each Anderson Bean Boot is made from sturdy leather, and many have injected rubber pads at the balls of the feet for extra comfort and durability. The soles’ Spring Steel Shank, in the arch of the foot, is reinforced with lemonwood pegs. Anderson Bean craftsmen have been using this tradition for over 150 years. And, to this day, it is still the most functional method. Metal nails tend to rust or fall out over time, but the lemonwood pegs shrink and grow along with the weather sensitive leathers. This is just one example of the expertise-driven and detail-oriented process that goes into each pair of Anderson Bean Boots. The importance of working for and with each individual customer has been the #1 belief at the core of the Anderson Bean brand since the beginning. Their devotion to those who love their product is what makes Anderson Bean a quality company. ON ALL OUR PRODUCTS INCLUDING ANDERSON BEAN BOOTS!